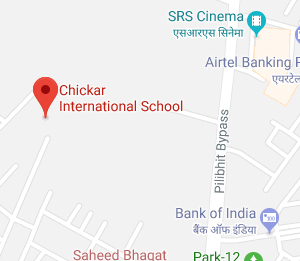 You will find at Chickar International School, Bareilly, the best quality facilities; a high level of discipline and concern for every individual; professionally qualified and experienced teachers who are enthusiastic about their subject; dedicated to their task and completely committed to meeting the high expectations of pupils. 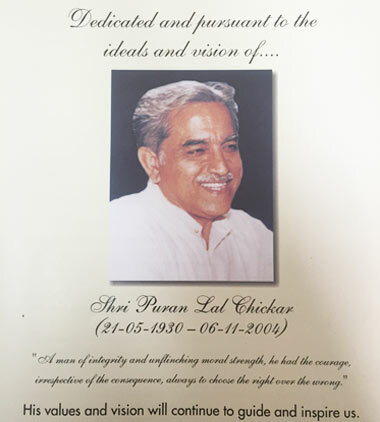 We inspire our students to develop their talents and strive for excellence in everything they do. Merely preparing pupils for examinations is not the most important aspect of education. Grooming them for a life of leadership, service and personal fulfillment is more important. We encourage independence of thought, creativity, respect for others and a sense of responsibility for one's own actions. Students here are happy, with well rounded personalities because of the high quality of individualized attention, a curriculum combining academic excellence and an outstanding range of opportunities beyond the classroom. We believe it is important to teach a child, but it is even more important to make her want to learn. We believe that finally a person is worth not what she has, or even does, but what she is. At Chickar International School, we recognize that it is important to be able to set and achieve personal goals; plan, implement and evaluate decisions; develop self-esteem; manage stress, and cope with change and conflict. These are essential self-management skills that underline a healthy and balanced lifestyle. Through classroom interaction, sports, recreational and other physical activities, students imbibe and practice these skills. Effective interpersonal skills are also essential for participation in meaningful and fulfilling relationships in family, school, recreation, work and community contexts. Interpersonal skills such as effective communication, negotiation, conflict resolution, cooperation and leadership enable students to act responsibly and contribute effectively in every sphere. Training in these areas is integral to our curriculum.